At the apex of edgy and classic, the sterling silver Corner Street Ring will give your style some extra flair to help you stand out from the crowd. 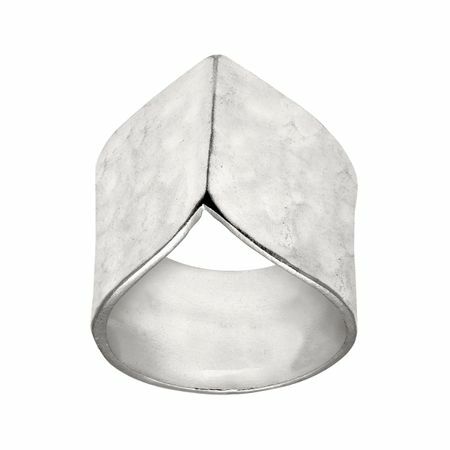 Featuring a super-wide band and unique, pointed design, the Corner Street Ring will keep your digits in style from office hours to happy hour. Ring face measures 1/2 an inch in width.